Beginning in late May, we will be open daily in 2019 from 11:30 AM to 8:00 PM Please call for reservations! 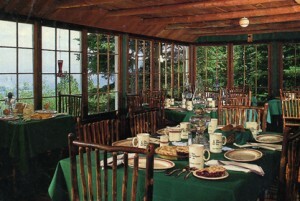 During the 1940’s & 1950’s our Baldpate Inn’s dining room was honored as a 5-star Duncan Hines restaurant. Today our specialty buffet continues to bring the highest honors as we maintain our traditions providing an unparalleled dining experience with incredibly fresh homemade food and superior service. 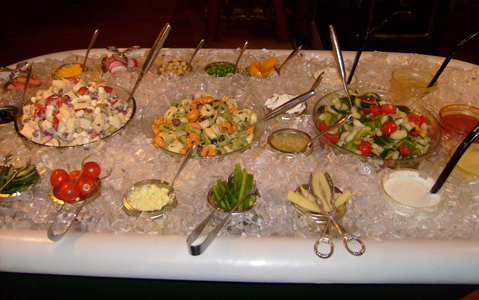 Our Soup and Salad Buffet is served daily for lunch or dinner. 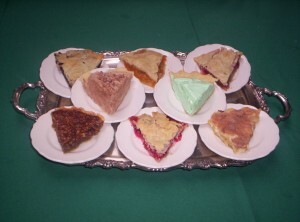 Although we do not offer traditional entrees, we are loved for our fresh salad buffet, homemade soups, breads, and pies. Not only locals, but travelers especially delight in the refreshing change and value that our Baldpate Soup & Salad Buffet offers. 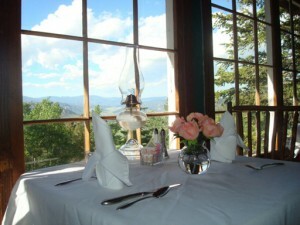 Seating in our sunporch dining room offers the bonus of an unequaled treetop view of the mountain valley. If you’d like to know our soups and muffins of the day, we welcome you to call 970-586-KEYS (5397) or check our Baldpate blog for today’s selections. You’ll probably want to add our blog to your favorites list. 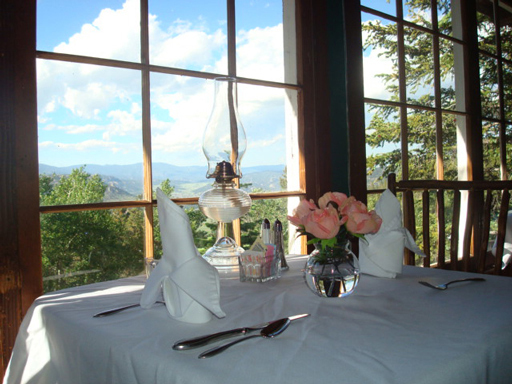 We highly recommend reservations, which can be made by calling 970.586.5397(KEYS) or through our OpenTable online reservation system. 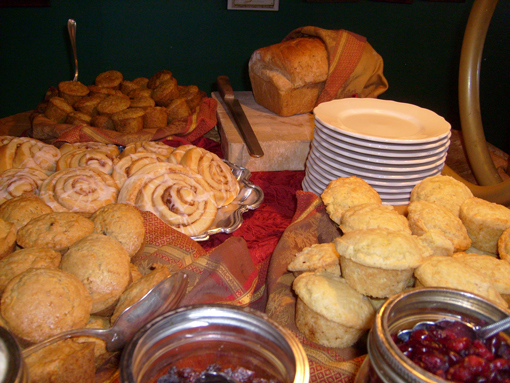 Our celebrated Breakfast at Baldpate is a grand experience, certain to become a most cherished memory of Estes Park. To visit our legendary National Register property, The Baldpate Inn, is to share in the spirit of timeless world travel. Our sumptuous Breakfast at Baldpate offers you an opportunity to experience a perfect blend of history, architectural beauty and comfortable elegance while enjoying our modern rhapsody of breakfast flavors. Proud features include TASTE OF HOME, BON APPETIT and WOMAN’S DAY magazines for their focus on the Baldpate Inn Dining Room. Our recipes have been highlighted in numerous cookbooks besides our own, COLLECTIONS, Legacy Edition, GREAT COUNTRY INNS OF AMERICA 2006, COLORADO FORKS IN THE ROAD 2005. We are most honored by the designation as a ‘favorite’ by FROMMER’S COLORADO guide for many years and by Open Table with multiple Diner’s Choice awards for many years running as Best in Colorado.